Here’s a fun and easy way to recycle those piles of paper spewed from your printer and have fun with the kids at the same time. 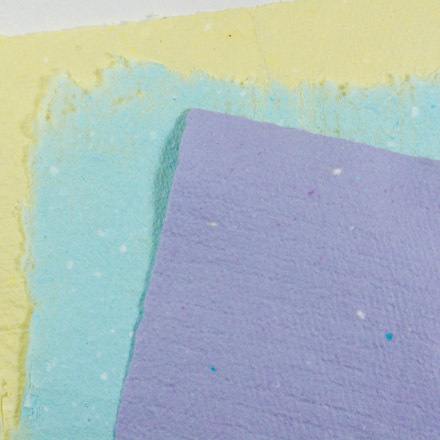 With simple equipment and lots of water, you can turn that leftover paper into elegant handmade paper. The resulting paper can be used as writing paper, to make elegant greeting cards, to make or line envelopes, to wrap gifts, to make gift bags, in collages and scrapbooking, or in any craft that can be enhanced by wonderfully textured paper. Related craft: Make a Mold and Deckle, an essential tool for handmade papermaking. Before you start making paper, you will need to prepare your equipment and work area. Review the list above, and make sure you have everything needed to make paper. 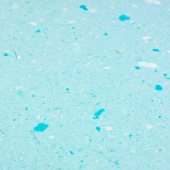 Papermaking requires an area where water can be splashed around. Find a place where you can lay your mold and deckle, plastic tub, and boards with felts side-by-side. Cover the work surface and floor with plastic as needed, and set up the equipment. 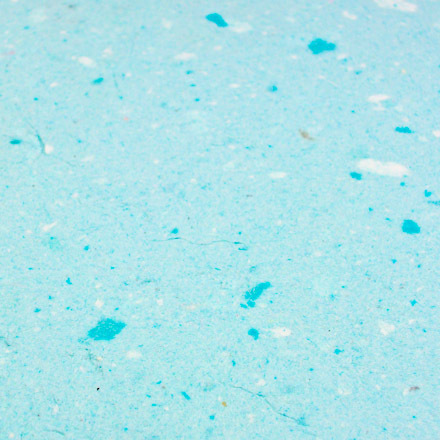 Paper is made from a slurry of paper pulp. You will use the blender to break down the scrap paper into pulp fibers. Longer fibers will make stronger paper, so it is best to pre-soak the paper and blend it as little as possible. Children must be supervised when using the blender. Fill the blender 2/3 full of warm water and add a handful of paper. To make colored paper, add colored scraps. Blend in short bursts to make a fairly uniform slurry. If the blender strains, remove some paper or add a bit more water. Pour the pulp slurry into the clean tub, and continue making pulp slurry until the tub is about half-full. Add additional water to a depth of about 3/4 full, or 90% water and 10% pulp. The greater the pulp percentage, the heavier the paper. The sheet of paper will be formed on the paper mold and deckle by dipping them into the pulp slurry. It is important to develop a smooth motion in order to make sheets with a uniform thickness. Stir the pulp slurry with the spoon until the mixture is uniform. Place the deckle on top of the mold, screen side up. Hold them firmly together with your hands in the center on opposite sides. Stand in front of the tub, and reach out your arms toward the back of the tub with the mold and deckle in a nearly vertical position. Dip the mold and deckle into the pulp slurry in a smooth motion, quickly changing the position to horizontal. Slowly lift the mold and deckle out of the slurry, letting the water drain. When most of the water has drained, tip to one corner to finish the process. Set the mold and deckle on a corner of the tub, and remove the deckle without disturbing the newly formed sheet. Set the deckle aside. Now we will transfer the wet sheet from the mold onto the felt (or paper towel). This is known as couching. Carefully lift one edge of the mold and lift the mold away. The newly formed sheet is now on the felt. The paper can be board dried or air-dried. I prefer board-drying, as it produces a flatter sheet of paper and drying is quicker. Board dry on a Formica-covered board (kitchen sink cut-outs work well). Place a felt, paper-side down, on the board, and go over the back of the felt with your hand or a large paintbrush. Carefully peel the felt off the paper, leaving it on the board. Leave the paper on the board until it is completely dry. Drying will take 4 or more hours depending on the humidity. Air-dry by simply spreading the felts (or paper towels) on a flat surface to dry. Gently remove the paper from the felts when dry. It is best to leave the felts and paper to dry overnight. Now, use your handmade paper in other crafts, in gift wrapping, or as elegant stationery. That's it! You have made your first handmade paper! Tip: Give your paper added interest by adding snips of thread, bits of ribbon, parsley or chili pepper flakes, or flower petals to the pulp slurry in the tub. 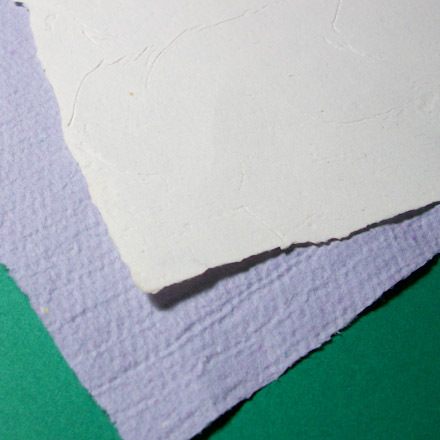 Tip: For handmade paper with a smooth surface, dry it on a board. For a textured surface, dry paper on paper towels, cloth, or any rough surface. Unused pulp can be saved for a few days. Strain the slurry and squeeze excess water from the pulp. Store the pulp in a plastic bag in the refrigerator. The addition of a preservative (like oil of cloves) or freezing will extend the pulp's shelf life. Do not pour unused pulp down the drain, as it can cause a blockage. Strain pulp from slurry, then discard pulp in wastebasket.